CHIANGMAI , THAILAND - SEPTEMBER 8 2014: Bus No.18-200 Super long 15 meter bus of Sombattour company. route Bangkok and Chiangmai. 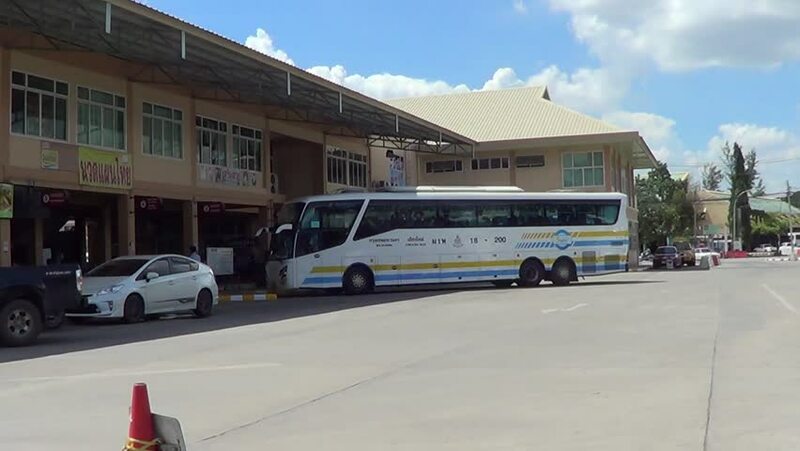 Footage at New Chiangmai bus station, thailand. hd00:11CHIANGMAI, THAILAND - FEBRUARY 28 2015: Nakhonchai tour company bus. Route Nakhon ratchasima and Chiangmai. Footage at Chiangmai bus station, thailand. hd00:19CHIANG MAI, THAILAND - JANUARY 24 2015: Mercedes benz (Citaro body) of Nakhonchai tour company. Route Nakhon ratchasima and Chiangmai. Footage at Chiangmai bus station, thailand.